I hear all the rap about cucumbers being a great “de-bloat” food. Good. I’ll eat them anyway. This another way to enjoy t hem all summer. 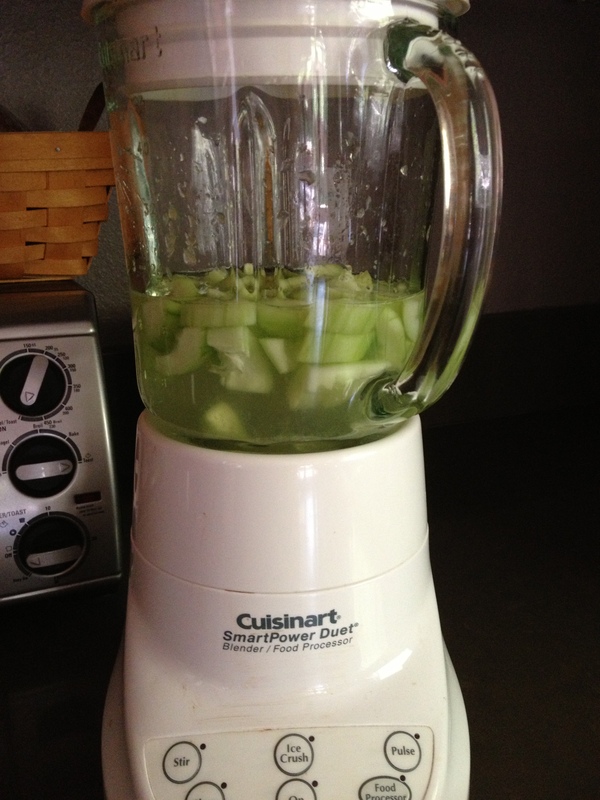 Blend and put into ice cube trays. 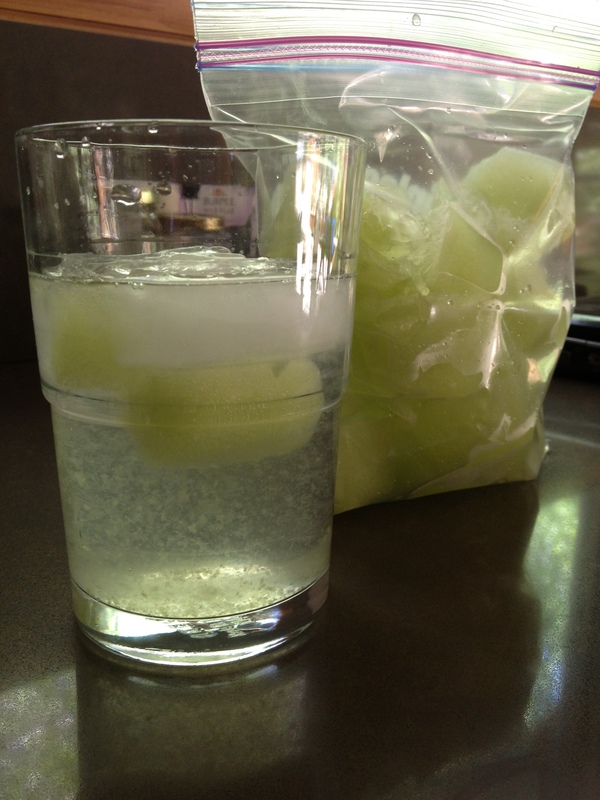 Frozen cubes can be added to water or smoothies. Very refreshing.